Formal performance-management (PM) methodologies and solutions can give organizations the discipline to prosper during difficult economic times while providing the flexibility to pursue opportunities as they arise. Although many organizations have strong practices for individual PM processes such as budgeting or financial close, integration of these processes is key to closing the loop between strategic planning and tactical execution. 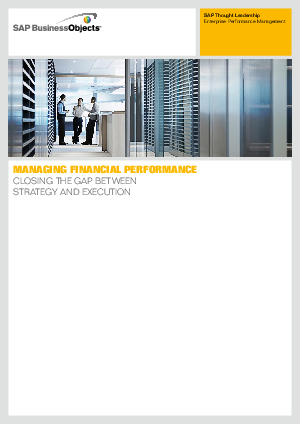 Read this paper and see how you can close the gap between Strategy and Execution.